Are Women’s Hearts More Vulnerable to Stress? Home/Blogs/Are Women’s Hearts More Vulnerable to Stress? Stress hits women harder: Females with heart disease have reduced blood supply when under pressure, reveals study. 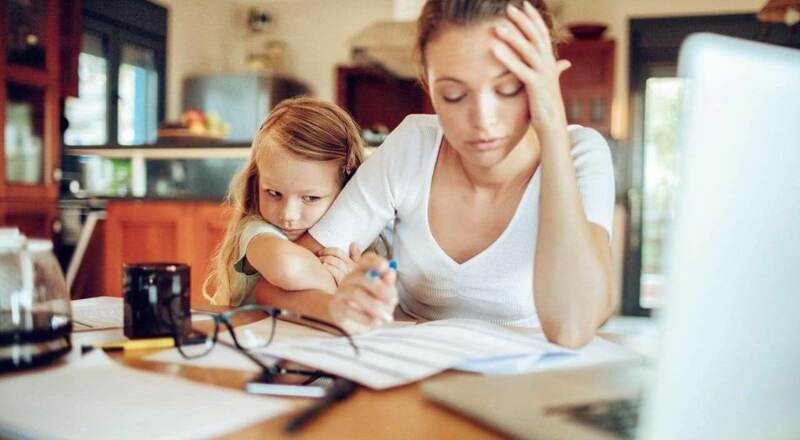 Stress hits women harder, new research suggests. Females with heart disease experience reduced blood supply to the organ when under pressure, a study reveals today. This can cause the heart to forcibly pump out blood, which increases their risk of suffering a cardiovascular-related event or premature death. Study author Dr Viola Vaccarino from Emory University, said: ‘This research is important because previous studies have shown that a reduction in blood supply to the heart (ischemia) during mental stress doubles the risk of heart attack or death from heart disease. Heart disease is the leading cause of death in the US, being responsible for one in four fatalities every year. The researchers analyzed 678 adults with an average age of 63. All of the study’s participants had heart disease. While the participants gave a speech, the researchers measured their blood pressures and heart rates, as well as taking imaging pictures of their hearts and measuring the constriction of arteries supplying blood in their fingers. Results reveal stressed women with heart disease experience reduced blood supply to their hearts due to the constriction of tiny blood vessels. Dr Vaccarino said: ‘This research is important because previous studies have shown that a reduction in blood supply to the heart (ischemia) during mental stress doubles the risk of heart attack or death from heart disease. The results also found reduced blood supply to the heart in stressed men is typically due to an increase in blood pressure and heart rate, which raises the organ’s workload. Married people with heart disease are up to 52 percent less likely to die from the condition, research revealed earlier this month. They also have a 24 percent reduced risk of dying prematurely from any cause compared to those who are divorced, separated, widowed or have never wed, according to the first study of its kind. Lead author Dr Arshed Quyyumi from Emory University, said: ‘I was somewhat surprised by the magnitude of the influence of being married has (on heart patients). The researchers believe the social-support networks that come with marriage, along with dodging the emotional and financial stress of divorce, may boost heart disease patients’ survival. Previous studies have also found heart disease patients benefit from having husbands and wives who nag them to lead healthy lifestyles. People with heart disease should try to avoid stress, the researchers advise. The findings were published in the journal Arteriosclerosis, Thrombosis and Vascular Biology.